Stuff we need to get the job done. Actually, it’s a bit more than records and coffee. This is the new mixer for the KROB studio. 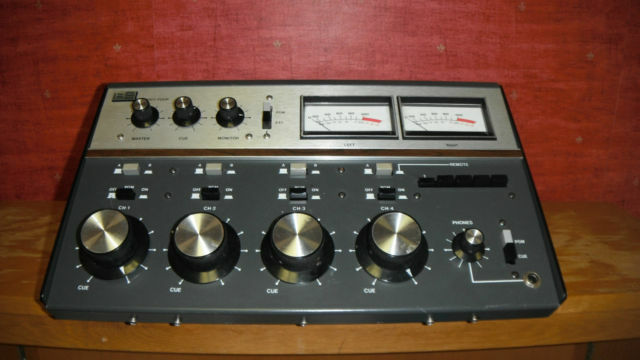 It’s a small 4 channel analog mixer made by Broadcast Electronics. This model was made for small studios, like a news room or for a remote broadcast. We had one at WICH in Norwich, and I’ve always liked it’s small size and how well built it was. This will be the main console for those days when I decide to go “live” on KROB.